ITF publishes first official ITF World Tennis Rankings. The ITF published the first official ITF World Tennis Rankings, with Spaniard David Perez Sanz and Chile’s Fernanda Brito ranked No. 1 on the ITF Men’s and Women’s singles rankings. The new ITF World Tennis Rankings follow the first week of the ITF World Tennis Tour that is expected to comprise over 1,600 tournaments in over 140 countries in 2019. The Tour serves as a player pathway between the junior game and elite levels of professional tennis. 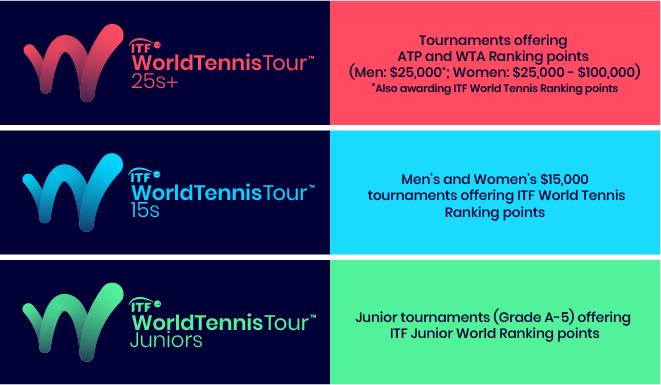 ITF World Tennis Ranking points are awarded at $15,000 tournaments for women, $15,000 and $25,000 tournaments for men, as well as ATP Challenger qualifying events (see here for the ITF World Tennis Ranking points table). Rankings are based on a player’s best 14 singles results and best 14 doubles results in these tournaments over the previous 12 months. The introduction of the ITF World Tennis Rankings will ensure a consistent approach for entries into all events, with players using their ATP/WTA ranking followed by ITF ranking. In order that successful players in juniors, 15s and men’s 25s tournaments are able to progress more quickly to the next level, there are reserved places in higher-level tournaments for highly-ranked players on the ITF Junior World Ranking and ITF World Tennis Ranking. This includes reserved places for ITF-ranked players in the main draw and qualifying of ATP Challenger tournaments. 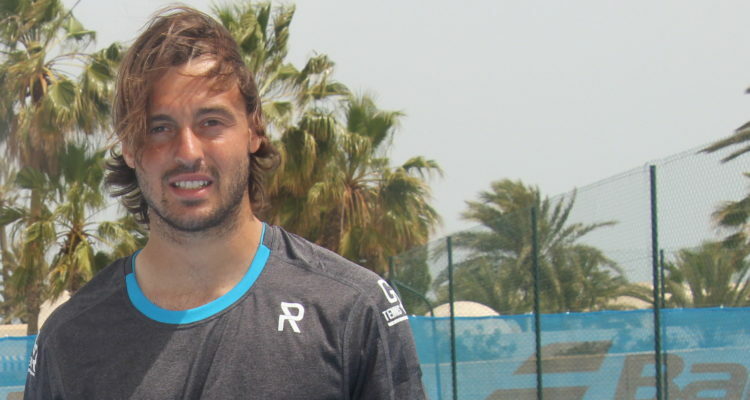 Twenty-four-year-old Perez Sanz owes his No. 1 ranking to the six ITF Futures titles he won in 2018, including a run of 28 wins in 29 matches in October and November. Brito, aged 26, captured nine ITF women’s titles in 2018, and between June and September won 40 successive main draw matches, a record for women playing in ITF tournaments. This entry was posted in ITF World Tennis Tour, ITF World Tennis Tour News and tagged David Perez Sanz, ITF World Tennis Tour.